Valeria (aka Coco) of Coco et la vie en rose blog (Italy) and I have been blog buddies for over a year now. During this time, I've noticed several things about her...she's gorgeous...she's striking...she's stylish...she's poised...she's humble...she's a dedicated blogger...her personality stays the same (unlike moi! lol)...and she's a go-getter! She's also a wonderful mom and wife. I have the utmost respect for Val and I don't even "know" her. Her blog has grown tremendously since I first read it and she possesses a potential that hasn't been tapped yet. She took pictures of various Street Style Fashionistas during Milan Fashion Week, and I told her YOU look better than all of them! HaHaHa I have NOTHING to gain from saying these things about Val. As a matter of fact, we rarely talk (she's usually trying to get me to talk more on Twitter and involved in extra blogging things to no avail! HaHaHa). I think she is an exemplary blogger and my wish for her is that she progresses even further. The talent and vision are there; they just need polishing. I hope someone sees that. Same thing with me...I know what my blog needs to polish it off and advance to the next level. I just need someone with a nice bankroll to take it there HaHaHa (contact me if you're out there! i already have the concept! LOL) ;) I encourage all of my readers to follow Val's blog. She's a jewel of a person. Introduce yourself! She's down-to-earth and not snooty or snobby! 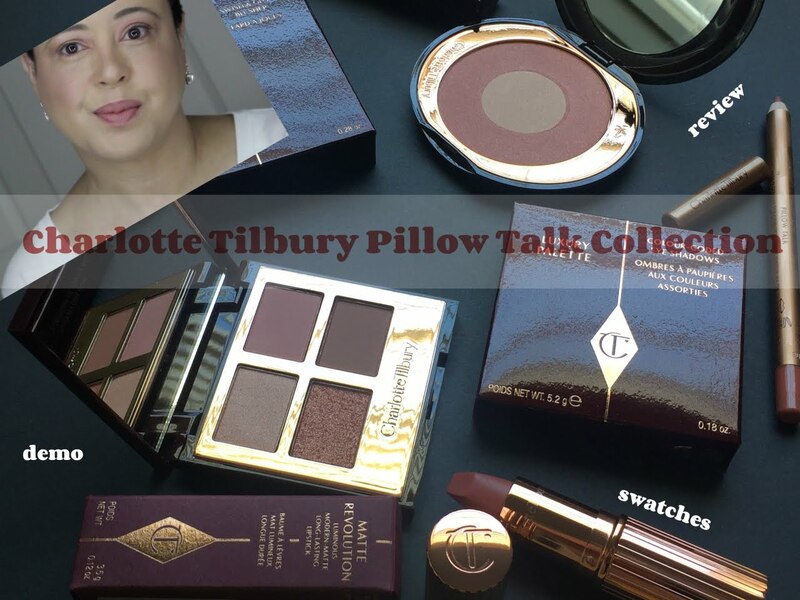 I was on a major beauty review kick this past Summer. Especially Asian beauty products. 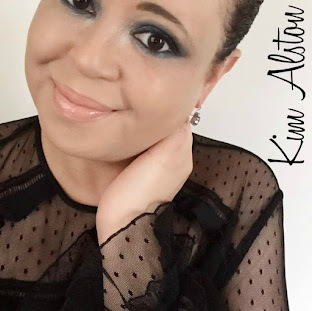 I mentioned in a post that I would like to do beauty reviews featuring International beauty products. Well Val pays attention to things!!! She put together a really cute parcel of beauty products from Italy, asked me for my address and voila this is what she sent. So let's take a look! 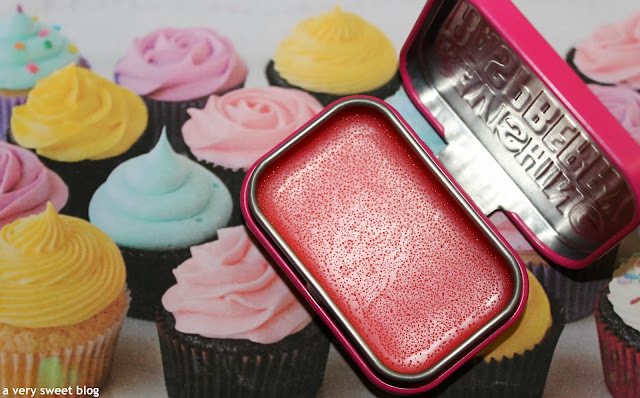 This is the cutest lip gloss palette! It's double sided! Ice cream cones, wrapped candy and lollipop shaped lip gloss fills both sides. It comes with a brush and has the sweetest scent. I'm keeping it for display :) My inner child! Loved these! They were delightful! My absolute favorites were Vanilla, Strawberry, Blueberry and Caramel! They had a lot of depth to them. That's the BEST vanilla body wash I've ever tried. Chocolate was the only one that didn't pack a punch. I wish these came in larger sizes :( You can get these on Sephora's website. Smells just like raspberries. Really cute tin with flip lid! I'm a big fan of cream blush! 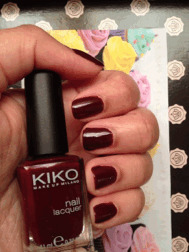 This is a fabulous color, very creamy and I'll definitely use it during the Spring & Summer months. It also looks great on the lips. Very pretty eyeshadow. It even has a bit of shimmer to it. Perfect for Fall. Can't wait to play with it. Val, thanks so much for EVERYTHING (loved your note and the cupcake theme). I'm using everything. 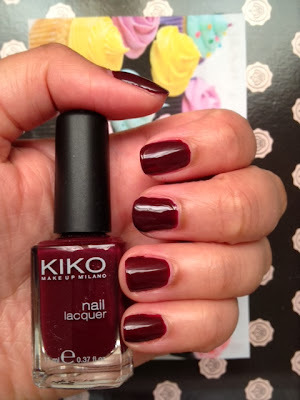 You're so kind and I also learned about an awesome Italian makeup brand (KIKO Cosmetics). I can't wait to try more of their products. I've put together a Halloween box for you and I'll be shipping it this week. Hint: It's some products you wanted to try and some treats :) No tricks! Wishing everyone a great day! Oh Kim most beautiful things, all very sweet to your style, enamel colors are beautiful, I visit your friend's blog! Val is such a sweetheart and has great style. It is so nice that she sent you a package! These products really are too sweet! The body wash capsules are great! Oh my! 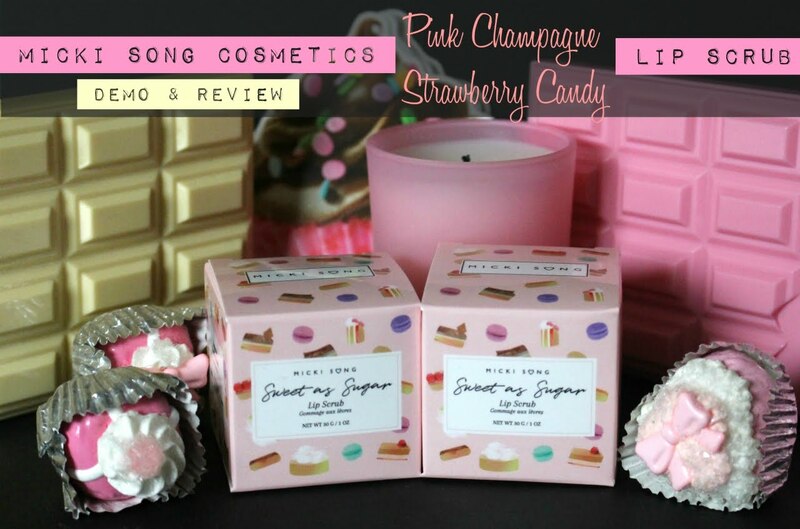 I can't even tell you how much I want all of these gorgeous sweet adorable products. So lovely and beautiful. Those are so cute! Coco sounds so sweet and she's got great style! Kim you moved me with your loving words. It's really too much, I'm speechless. 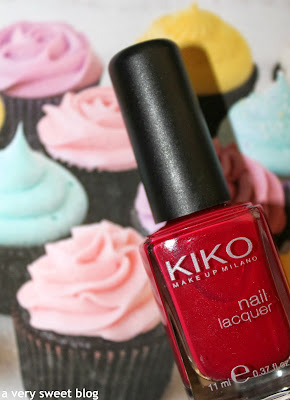 I read your post out loud to my hubby (who must endure burnt meals and has learnt baking cakes since I started blogging) and your words made him very proud of me :-) I'm glad you like Kiko, it's a very popular brand in Italy and it has a zillion shades of nailpolish. 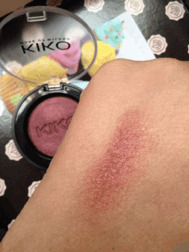 I often buy from Kiko, that's why my orange lipstick matching my Kiko orange shadow/blush got into your package while your burgundy lipstick matching your burgundy shadow/blush popped up unexpectedly in my cosmetics storage drawer!!! I'm glad your mum likes it!! I can't wait to get your treats, that was so sweet of you!!! Infinite thank-yous cannot express how grateful I am. How sweet of her to send you a package full of goodies! 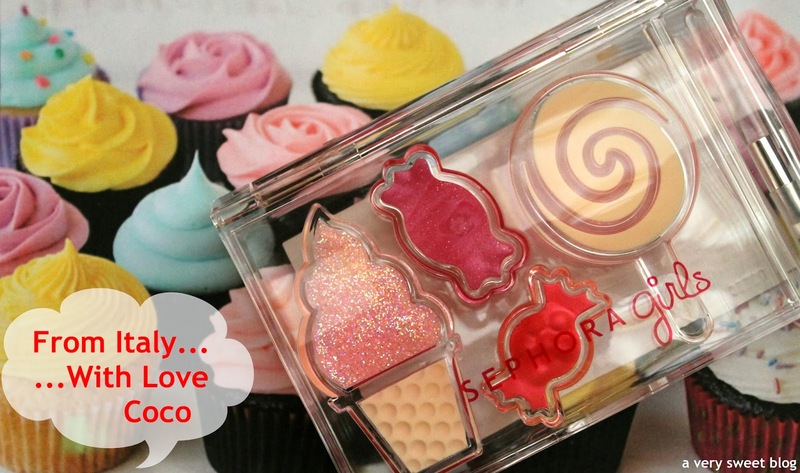 That lip palette is too cute in the ice cream and candy shapes. Enjoy it all! Valeria sounds like such a sweet woman! And these goodies look so nice. 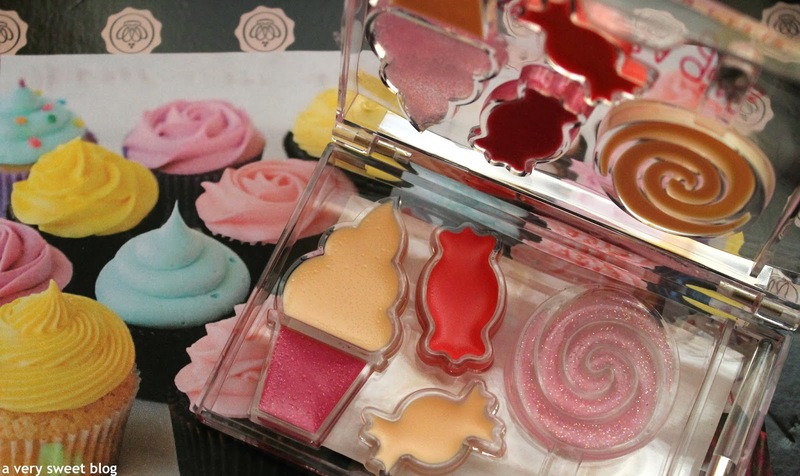 Ah, the lipgloss palette is adorable! All these products seem like they were tailored to you Kim! Valeria is such a sweetie as are you! 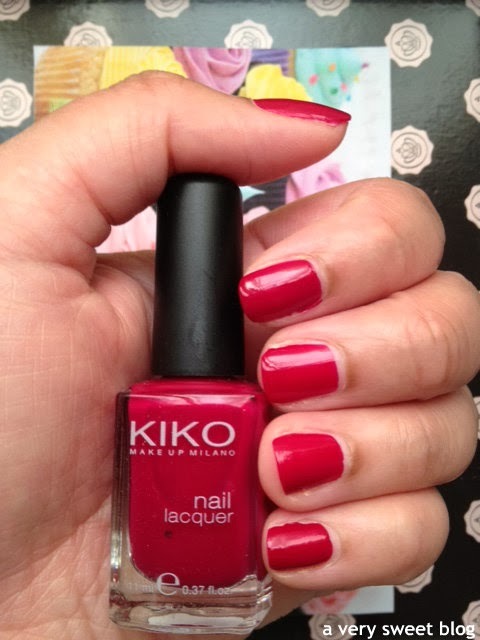 The Kiko colors are all gorgeous on you! Oh! What a sweet thing to do and so perfect for you! 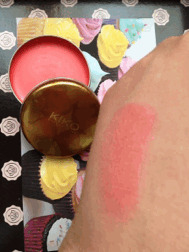 Those cremes look awesome and I think it is adorable that your mom stole the lippy! These blog letters are so sweet--I love the blog love! I want someone with a nice bankroll for my blog too, lol. you're so sweet, I know Valeria and she's such a cute person! What a good friend! That dark nail polish looks gorgeous! Coco is one of my favorite blog friends. She is exactly as you said she is. It's such a pleasure to know her. Thanks for sharing your treasures. 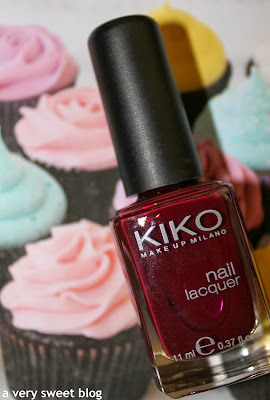 I also received a goodies box from her & now I am also hooked on Italian beauty products. Lol! oh the lip palette is too darn cute!! Awww.....Shes such a sweet friend! Awwwwww.. That was so nice and heartwarming! And all those are sooooo cute too! 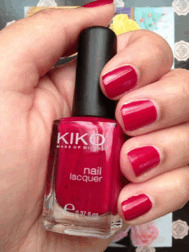 Eeek, those nail polish are gorgeous as well. Have a great weekend! That's really nice for Coco, I haven't stop by her blog but I'll do it really soon, I've tried some kilo products and are great and those cupcakes lipsticks are incredibly cute I imagine how happy you must be. Have an amazing weekend Kim. 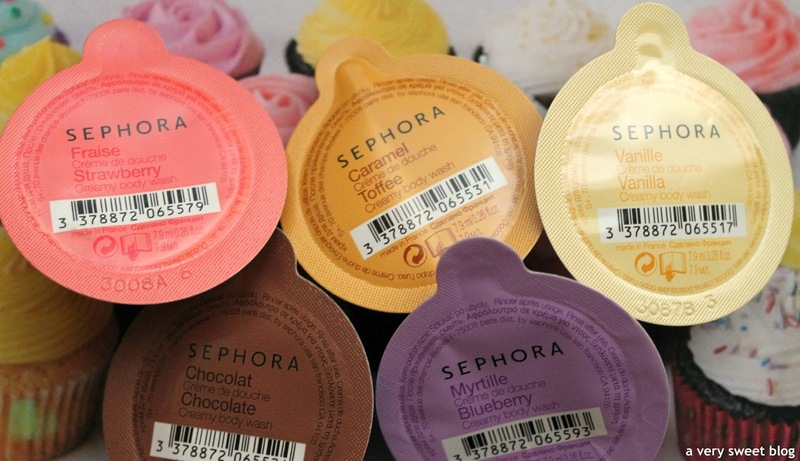 those sephora body wash caps look pretty neat! i'll have to check them out the next time i'm shopping sephora! what a sweet package! That's really sweet and generous of Coco to send you such a colourful parcel. 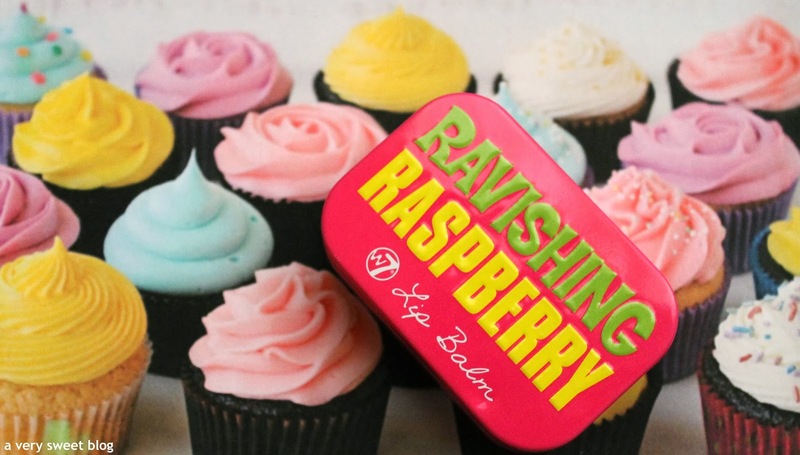 It really suits your bubbly and colourful blog. I'm very sure Coco is a really nice lady from the way you put it and I think only a nice lady could compliment another nice lady. How nice of her ! 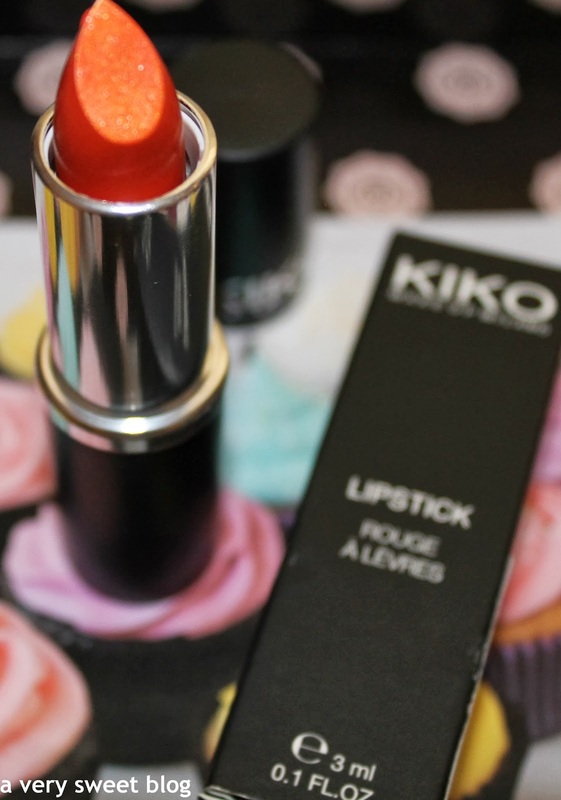 i have heard of Kikocosmetics but had not tried them yet... glad to know they are good. I've been following Val's blog for a while and she regularly comments on mine too. How sweet of her to send you these lovley products to try. I spotted Sephora again - clever packaging! Great Blog! I enjoy reading it anytime I have some spare time ^^ My friend invited me this summer to drop over and thanks to flysky.ro I will be able to fly there cheap.